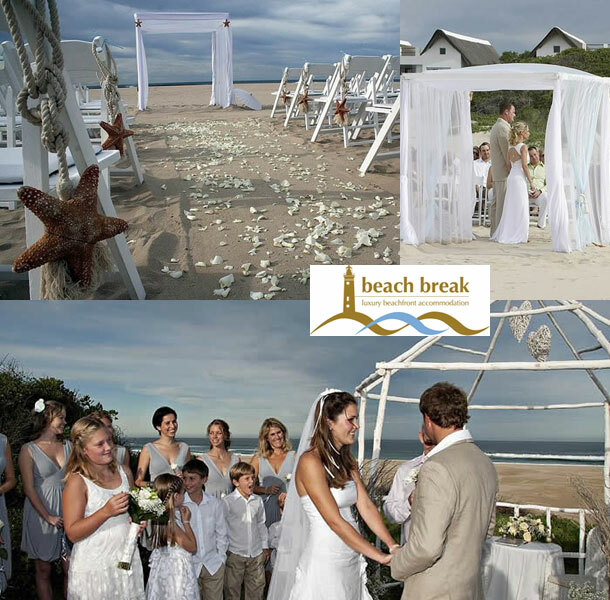 Beach Break Estate in Cape St Francis offers a variety of wedding venues which are diverse and will allow you to create your dream day. Why not have a beach ceremony with a wonderful garden reception? Or perhaps you’d prefer a more traditional ceremony in a chapel – whatever your taste demands we can accommodate! Our staff is knowledgeable and will assist you with all the planning stages and provide advice if and where required. We can host up to 300 guests and your guests will enjoy discounted accommodation rates in a variety of room options. We can also arrange pre- and post-wedding get togethers. Perhaps you have family and friends travelling from overseas and would like to maximise the short time they are here with them. 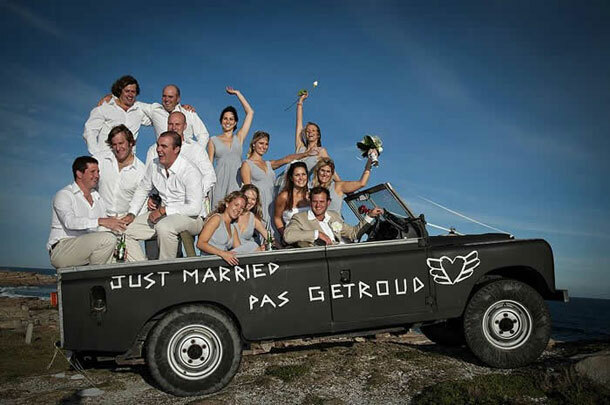 We can organise a braai or perhaps a ‘build-a-burger’ evening the night before the big day. Alternatively we could arrange a champagne breakfast for the morning after. Whatever your needs are we will be there every step of the way. To book your wedding at this unique and special venue telephone Anita and the team on +27 (0)42 298-0054. If you would like further details or to send an enquiry you can visit Beach Break.